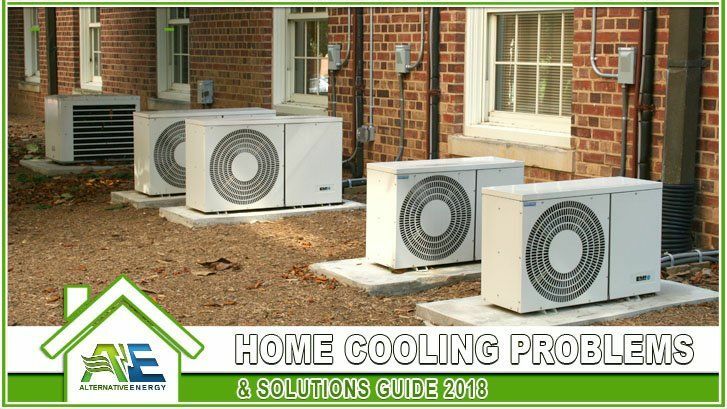 Do you find yourself asking the following questions: “Why Is My Room So Hot Compared To The Rest Of The House” or “How Do I Cool Down The Hottest Room In The House” or “How Do I Keep My House Cool In The Summer Naturally” or “How Do I Keep My House Cooler In The Summer Without AC” or “Why Is My House So Hot With The AC On“? This energy guide is here to help you troubleshoot and diagnose your hot house problem no matter what type of energy deficiency you are having. Most Common hot house reasons include: AC problems, insulation problems, air duct problems and air ventilation system problems. If your house isn’t getting cooler after turning your ac unit on, has hot rooms no matter how long you run your ac unit, or you are experiencing high energy bills due to running your ac unit all the time because of this problem, you probably have one of the energy deficient problems or “Hot House Problems” list below. What Type Of Hot House Problem or Hot Room Problem Do You Think Experiencing? In each section will will also offer tips on how to keep your house cool, how to fix your hot house problems or how to fix a hot room in your house. A/C unit blowing warm air? Home A/C not blowing cold air? One room in home too hot? A/C unit blowing hot air outside? House so hot with the ac on? Your air conditioning unit pulls in the air around it to cool it before sending it out into your air ducts. The hotter the air is around the ac unit, the harder your A/C unit has to work to cool your air. Thus, leaving you stuck with warmer air that’s coming into your home. Some people think the A/C unit isn’t working when the problem really lies in the air around it. Your unit could be working just fine, do not hire a residential AC contractor until you read this next paragraph. With the average AC repair costs in 2016  ranging from $165-$500, we just want you to be completely aware of other reasons your AC might not be cooling efficiently. There’s probably nothing wrong with your A/C unit at all. “We’re sure no AC contractor would ever want you to know that”. The solution for cooling down the hottest room in the house is to “fix your hot attic problem”. That’s the whole reason your ac unit isn’t blowing cold or one room in your house is hot! You don’t need a stronger air conditioning unit to fight your faulty attic problem, you need to get that hot air out of your home and keep it out. That’s where our energy solutions come into play! Our A/C contractors have years of experience in the HVAC industry and know what it takes to repair air conditioning units but, if you are experiencing one of the problems mentioned in this article, we bet there is nothing actually even wrong with your A/C unit in the first place. Your most likely dealing with a “hot attic”. You either have, 1. No Radiant Barrier protecting your attic from the sun or 2. Ineffective radiant barrier technology that doesn’t work. In either case we offer solutions that can help you save 20-50% on electricity, almost 3 times more than our competition. Take a look at this radiant barrier comparison. Why can we save you so much more money than other AC repair or radiant barrier contractors? That’s because we install the best radiant barrier system in the world that works 3 times better any other system. We install the best attic fans in the industry to keep the hot air out and wrap your air ducts in the best duct wrap in the industry. We combine all of these energy savings services to give you an all in one energy saving solution that cuts down the amount of hot air from entering your attic, helps your ac unit work more efficiently, keeps all the rooms in your home the same temperature and cuts your electricity usage in half! Wondering how to fix a hot room? We can fix hot rooms and save you 20-50% on your electricity bill while doing! NO MONEY DOWN!! To come up with all of the solutions we have you would need to hire an insulation contractor, ac contractor, duct wrap contractor and an electrical contractor. We offer all of these energy upgrades as a single packaged solution and we do install them for far less than hiring all of these individual contractors. How can we offer all of these energy solutions you as? Well, that’s simple, we hold the only patent to the best radiant barrier, attic insulation, duct wrap, commercial insulation in the world. Installing SRX insulation in your attic combined with our high powered German attic fans will help keep so much heat out of your attic that you wont have to run your air conditioner as much to keep the house cool. SRX literally keeps your house cooler in the summer without AC assistance. As we previously mentioned, the more heat you keep out of your attic, the cooler your home stays. Air conditioners just assist in the cooling process, our product takes effect in the attic and air ducts before the air even reaches the unit. Think you need install insulation? Does radiant barrier work or how does it work? Already installed insulation but not saving as much money as expected? Installed radiant barrier and now your home is even hotter than before? You would think that since you installed insulation that you would be saving tons of money by now right? But there are certain elements you need for insulation to work properly otherwise it turns your home into an oven. Problem: Radiant Barrier Not Saving Money? The customer from the video gave us a call claiming he wasn’t saving as much money as he thought he was going to save after installing radiant barrier by another company. We inspected his attic to find that the previous radiant barrier contractor never installed an attic fan, BIG MISTAKE! Any radiant barrier installation should come with an attic fan to remove the heat. Radiant barrier is meant to keep the heat out of your home but if it doesn’t have proper ventilation, it’s basically deemed worthless. Even CostHelper Home & Garden  knows this, “A radiant barrier can cause damage if the attic isn’t properly ventilated”. Only installing radiant barrier isn’t enough, without an attic fan or proper ventilation, radiant barrier can turn your attic into a solar oven that: heats up your attic and heats up your air ducts leaving you with a hot house or rooms that are more hot compared to the rest of the house. We offer the best radiant barrier in the world! Our patented SRX (As Seen On TV) insulation works for any insulation application and is backed with a lifetime guarantee to save you 20-50% on electricity for life! Hot air coming out of air vents? Low air flow from vents in house? Air from A/C unit not coming out cool? Air flow from 1 room not cool enough or low air flow? What do your air ducts do? Energy Star  says, “In houses with forced-air heating and cooling systems, ducts are used to distribute conditioned air throughout the house“. Air ducts are the number 1 cause of why your air is coming out cool/warm and not cold. Your air ducts are the closest thing to your attic and when your attic gets hot so do your ducts. The cold air has to travel through the ducts to make it to all the rooms of your house. What do you think happens to air that travels through 125 degree air ducts? It heats up! Also if your ducts aren’t sealed properly, they could be letting in uncooled air from the outside. Your air ducts need to be wrapped in our SRX duct wrap to ensure your air will come out of your air vents much cooler than it currently is. Pippin Brothers  says, “Properly insulating your ducts will improve the overall efficiency of your system”. This will also ensure that the air is still the same temperature by the time it reaches the rooms that are the farthest away from the unit. Regardless whether you have radiant barrier or some other type of insulation installed in your attic, it’s going to heat up. Even the best insulation in the world can only keep your attic so cool without proper ventilation. You have to get that heat out somehow. If you have leaks in your ducts, no attics fans or ventilation systems installed in your attic, it’s going to get hot up there. The hotter it is in your attic, the hotter it is in your home and the harder your air conditioner has to work to cool your home down. If your AC unit has to run for extended periods of time its going to run up your electric bill fast. Ventilation is the most important step of keeping the hot air out of your attic and inevitably you’re the inside of your home. This customer’s home in the video had radiant barrier underlayment installed under the room which does keep some of the sun from entering the attic but the company who installed the radiant barrier didn’t install a ventilation system. Installing an attic ventilation system (aka attic fans) helps keep your attic cool, which helps keep your ducts cool, which help keep the air coming out of your vents cool. You need a powerful attic fan to get out and keep out that hot air from heating up the rest of your home. Our German attic fans are the best attic fans in the industry and come with a lifetime warranty. Solar fans will blow out in 2 years once their bearings go bad while our German attic fans will keep pulling hot air out air year after year. We are so confident in our energy solutions that we want to visit your home for free! Schedule your free energy audit with Alternative Energy, LLC a call at (480) 744-1803 or filling out our contact form. Our service area encompasses the entire Phoenix Metropolitan Area including: Phoenix, Mesa, Tempe, Scottsdale, Chandler, Gilbert, Fountain Hills, Peoria, Surprise, Sun City, Youngtown, Arizona cities.